Guest room with outdoor bath and various room types. 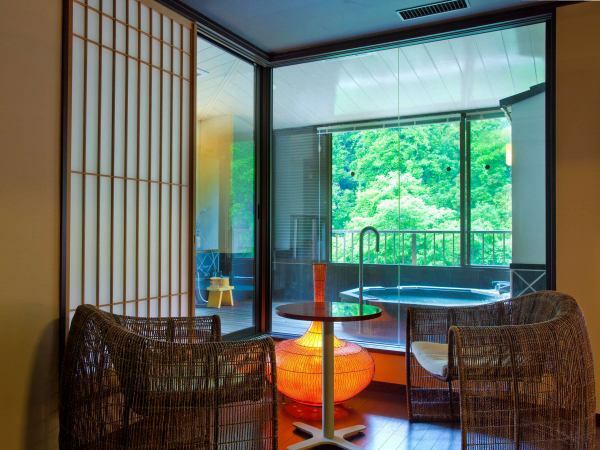 If you make special memories at Yamanaka Onsen, in this upscale space. 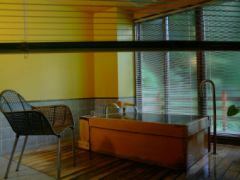 It is a guest room with a popular outdoor bath where interviews of TV and magazines are constant. The time here will surely be special for you. 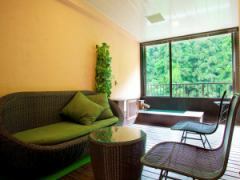 A tatami-mat style Japanese style room along the mountain stream. 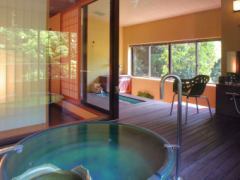 It features mountain stream beauty of Yamanaka Onsen visible from the window and richness of accommodation plan. You will find a perfect plan for you. 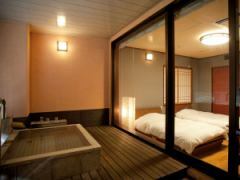 This room, if you stay cheap at Yamanaka Onsen Ohanami Kyubei. There is no bath in the room, but it is the cheapest stay. It is recommended for those who wish to use budget for sightseeing and shopping by keeping down accommodation expense.